Here we go – Last one of 2017! This year I hardly hid the fact that I went a little crazy with my movie-watching. With enough 2017 cinema visits under my belt to do a top ten three times over, I figured this was as good a year as ever to expand the list to fifteen. I may have lacked the time to write up full reviews over the last twelve months with enough consistency to make it worthwhile, trying a new approach instead, but right now is the time to get into my favourite films of the year with some actual detail. I happen to think this is a very strong list worth recommending to a wide range of movie fans, with only one or two spicy picks that I seemed to like more than most people. Thank you for reading. This list represents my opinion only. I am not asserting any kind of superiority or self-importance by presenting it as I have. My opinion is not fact. If you actually agree with me 100%, that’s strange. Intriguing, but strange. Respectful disagreement is most welcome. Yes. I know 2017’s Power Rangers isn’t going to win any awards for earth-shaking acting or plotting, but I just had to have it on this list. The original Power Rangers show was one of my absolute favourite things as a kid – I was obsessed with it. I watched this movie with a stupid grin from ear to ear for almost its entire run time, because Dean Israelite manages to nail the important parts of what I loved about the show back in the day, cheesiness well and truly intact. I particularly enjoyed the slow burn of getting to know the main cast Breakfast Club style before the real action kicks off late in the piece. RJ Cyler as a new interpretation of social outcast Billy steals the show in every scene not featuring Elizabeth Banks’ hammy Rita Repulsa, who just seems to be having the time of her life acting opposite Bryan Cranston’s gruff Zordon. Here we are. Time to count down my favourite videogames from a truly phenomenonal year for the medium (The best in ten years?). There are some games on this list that I would wholeheartedly recommend to anyone even remotely interested, but the real measure of 2017 is the games that don’t make the list because I just didn’t have time to get into them. And no, I don’t just mean games other people liked but didn’t really grab me. I’m talking Horizon Zero Dawn, Cuphead, Yakuza Zero, Steamworld Dig 2, Night in the Woods, Tales of Berseria, Golf Story, Gang Beasts. Games that in any other year I would have been all over. Games I’ve already seen on many other top ten lists across the internet. Part of this can probably be attributed to my conscious decision not to ignore good games on the 3DS as long as they were coming out. I clocked nearly 200 hours of combined 2017 playtime on my 3DS according to its activity log – mostly on trains and buses – and if it weren’t for the Nintendo Switch overshadowing it on every big site and YouTube channel I would have been shocked that I wasn’t seeing some of these 3DS games on more people’s lists. Of course, the Switch was still a thing, so there are more Switch games on this page than on any other console. The rest of the numbers are made up by some delightfully surprising indie and triple-A games gripping enough to help me temporarily forget about all the other games I could be playing. What an insane year. A game qualifies for the list if I play it for over five hours or finish it. You’ll see the platform on which I played each game in parentheses next to its title. Major new IPs from Nintendo are rarer than a PC without Playerunknown’s Battlegrounds installed, so it’s a big deal when one comes along. Following in the spiritual footsteps of 2015’s Splatoon, ARMS is an attempt by Nintendo to refresh what players can expect from a fighting game, in much the same way that Splatoon injected new life into the shooter genre. Taking stylistic cues from Blizzard’s Overwatch in the character design department and infusing these designs with Nintendo wackiness, ARMS is a charming game with deceptive mechanical depth and phenomenonal 1v1 duel multiplayer. Though the rest of its modes are inherently less deep and the game’s single player mode is basic at best, ARMS is my pick for most improved game of the year post-launch, with extra incentives, modes and characters now part of the package. And let’s not forget that theme song, which slots right in alongside Nintendo’s catchiest first-party tunes. ARMS should not be overlooked by anyone buying a Switch. As we roll into the business end of these countdowns and the final hours of 2017, it bears mentioning how difficult I found it to finalise these last three lists. You’re about to see two Top 15s where previously there was only one, but I very nearly made this one the third. If it weren’t for the fact that I couldn’t find another list worth cutting down to compensate, I would have. 2017 was that good of a year for K-Pop albums – especially in their shorter “mini” format. I’ve often joked that all a K-Pop album has to do to get my attention is not put its MV track in the first slot, and maybe divide some group members up for solos/duets (i.e. just not be generic) but I can’t even fall back on that crutch this time, because so many albums did just that in 2017. Some even went a step further in the structural experiment department. Wow, this is such a nerdy list. I consider mini-albums to be between four and seven tracks long. Anything shorter than that is a “maxi single” or “single album” (Not even my words), anything longer is a full album. They say necessity is the mother of invention and in the case of EXID’s Eclipse that certainly rings true. By all means, on an album you can pair off your members or give them solos to spice things up and make the group feel more like everyone is putting in work, but when you’re also down not only your most gifted vocalist, but one of the most gifted vocalists in all of K-Pop, you need to take things a step further. 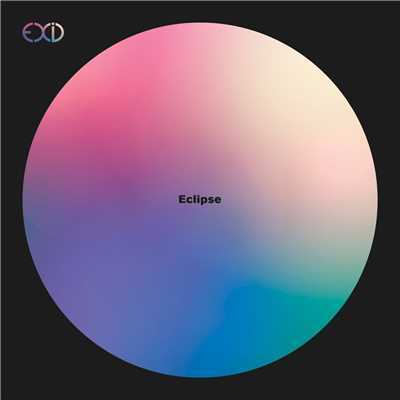 Eclipse somehow works without the incapacitated Solji thanks to a heavy injection of driving electronic bass as well as some truly impressive fill-in work from secondary vocalist Hyerin. Album opener Boy is the tone-setting stylistic codifier, giving each able member her own unique stanza but leaving the hook entirely electronic. Its lyrics are a prologue of sorts to MV track Night Rather Than Day, which works far better as an audio-only throwback to the group’s early sound (The video is pretty awful). But Eclipse‘s greatest achievement is How Why, which has such a booming chorus that I hope this isn’t the last we’ve seen of electro-EXID. A movie scene isn’t just there to get you from Story Point A to Story Point B. That’s certainly one of its purposes, but using the constraints of a single setting or moment in time a scene can go far beyond mere mechanical function. It can hit the audience with a concentrated dose of adrenaline, fear or laughter that they aren’t likely to forget in a hurry, slotting into a larger narrative in a way that usually adds to a film’s quality – though occasionally it can stand out like a sore thumb from a lower-quality movie. My 2017 list is thankfully filled with scenes from the first category for the most part. I tend to be drawn towards memorable action sequences or moments of unbearable tension, so they make up the lion’s share, but there’s a bit of inspirational exposition and a song in there, too. Spoilers, obvs. Spoilers are in this list! The Golden Circle‘s action scenes are almost all riffs on the insane church brawl from its predecessor, Kingsman: The Secret Service. It’s crystal-clear that Matthew Vaughn really enjoyed shooting that scene, because the sequel is loaded with similarly kinetic close-up camera acrobatics. Though any scene in which Pedro Pascal’s agent Whiskey gets in on the violence is well worth an honorable mention, the best instance of this unique style is the final one, when our hero Eggsy and his resurrected former mentor Harry engage with countless goons outside a 1950s-themed villainous hideout to the tune of Elton John’s Saturday. This fight has it all – gadgets, wince-inducing Vaughn brutality, cool team-up moves – It’s my favourite straight-up action beat of the year. Now that we’re finally talking about the games of 2017 themselves, it’s time to start asking the question – Is this the best year for videogame releases since 2007? Do we at last have an annum worth blowing past 2011 and taking on the year that gave us Bioshock, Modern Warfare, Mass Effect, Portal and Mario Galaxy? It’s a short question with a long answer, but perhaps so. If it is, then the ease with which I came up with content for this list makes an awful lot of sense. 2017 was a sensational year for gaming moments that encouraged some good old fashioned water cooler chat. 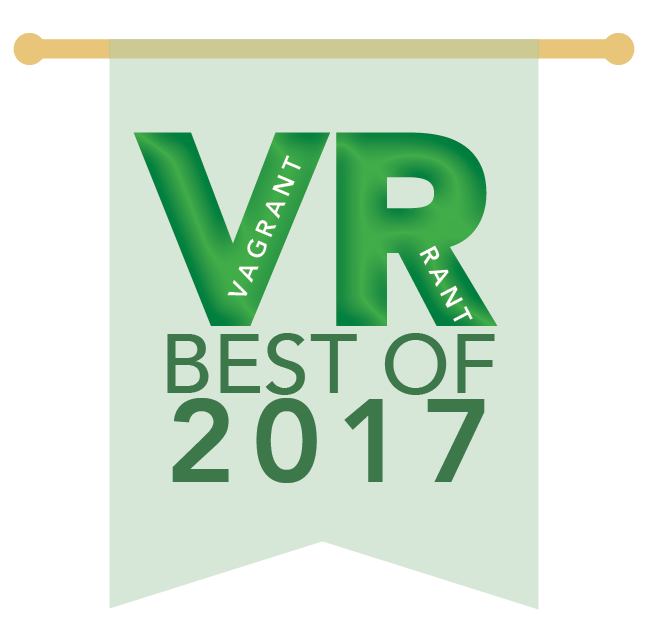 Even compared to previous years’ lists, this one is positively packed with story-related moments, so seriously, proceed with caution. Or don’t proceed at all. Oftentimes you’ll need to get through several hours of a game before reaching any big twists, rug pulls or otherwise shocking plot developments, but Prey gives you several inside the first two hours. The fact that they make such an impact is testament to how well Arkane Studios builds up the pretense of one reality before literally and figuratively shattering it with one melee attack to a glass panel. Prey mixes together a visually arresting Hollywood-style title sequence with some unsettlingly clever tutorials ending with a terrifying first encounter with an alien species, then uses a detail-rich apartment environment and a tiny bit of familial drama to turn your attention in one direction before jolting you back the opposite way. This is all rather effective to say the least at leaving you on edge, setting the stage for a claustrophobic journey of fear and intrigue. A good year for movies is a good year for movie characters. The fictional people who graced our screens both big and small throughout 2017 made the stories unfolding before our eyes more tragic, more believable, more ludicrous, more fantastical, more real. From the characters who anchor down the movies they lead, to the enemies they face, to the bundles of energy and accidental comedians with whom they cross paths, these celluloid creations are worth remembering for a moment. There are some vague plot spoilers here but I’ve avoided them where they aren’t necessary. The joke is easy to make – Murder on the Orient Express director Kenneth Branagh greatly expands the role of one of fiction’s most legendary detectives and then casts himself in the lead role just so he can ham it up for the cameras in partnership with one of the great cinematic moustaches of all time. Regardless of how it came to be, however, Hollywood’s newest representation of Hercule Poirot is a relentlessly entertaining reason to check out Murder on the Orient Express. All introspective monologues, furrowed brows and mad quirks, Branagh somehow ensures that he stands head-and-shoulders above everyone else in a truly star-studded cast.